What is it about weddings that makes some people go a little nutso? After our own speedy nuptials, weddings have become a bit of an interest of mine. 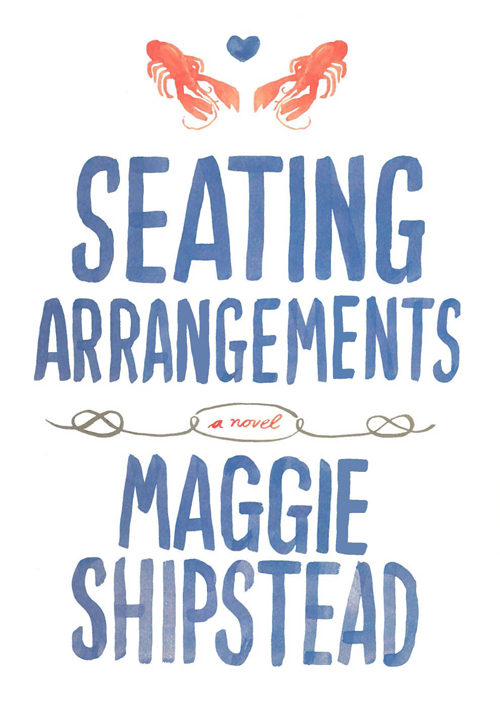 So you can imagine Maggie Shipstead’s novel, what with its adorable cover design, was at the top of my “to read” list. This well-written story about a New England family the weekend of a wedding kept me satiated for nautical fiction while incorporating less glamorous topics such as infidelity, abortion, and public humiliation. Winn Van Meter finds himself at an interesting point in his life. He is almost sixty years old. He idealizes the thought of having a son, even though he has two adult daughters. He joins countless clubs and holds them in the highest regard. He is in a committed relationship for almost thirty years, yet yearns for a sexual connection he feels his marriage lacks. His years of toiling with his supposed nemesis continue to chip away at his cool. Conveniently, all of these hiccups burst into scene during the three day escapades of his eldest’s wedding weekend. Born into a “new money” family, Winn used his youth to establish himself worthy within his Harvard circles. He painstakingly gained acceptance into the prestigious Ophidian society, in which he formed his life values and became popular with the ladies. At thirty-one (and his father’s funeral), he met his future wife Biddy, and together they formed a cordial bond of mostly business and little pleasure. He revolved most of his family thoughts around raising a son to play golf with, give his watch to, and ultimately create a Van Meter legacy. But after what he considers an unlucky streak of having two daughters, Winn held his happiness within his respectable reputation, his fervent club activity, and restrained familial love. I keep wanting to break into a play-by-play of each chapter (there was really something I liked in every one), but I’m going to keep my focus on Winn, as he is the point of view the novel opens and closes with. The details about Biddy and Livia were especially lovely…I wish I could explain them (really, you’ll just have to read this one). So as Winn prepares himself for his daughter’s wedding, he is tempted by the rather loose bridesmaid Agatha and her modern prowess. His obsession is a bit American Beauty, and for a loyal lady such as myself, reading about a married father lusting the obvious skank (for lack of a better word) was difficult to stomach. Especially when Biddy is so neat and lovely. But as pre-nuptial events draw to a close and the hour of the wedding approaches, it is evident youth can no longer be Winn’s excuse for his mistakes. He does become a bit of a train wreck (for example in his toast comparing marriage to death). My very favorite part of Seating Arrangements was the description of Biddy’s relationship to water. Her star sign Aquarius made for an interesting character development. The snippets of her family’s stories were terrific as well. Easily one of the coolest paragraphs I’ve read in a while. Overall, the Shipstead’s novel was nicely written. The description was just enough to paint each scene without the reader getting lost in meaningless detail. The family of the Van Meters portrays an American image of some wealth and integrity, but faltered on warmth. While it is sometimes easy to dream of the WASP life, Seating Arrangements‘ intimate look at family life did not evoke envy within me, regardless of their sweeping island home and Ivy league degrees. great review! I’m about to start planning my wedding this summer (we’ll be getting married in a year)…maybe I should pick this book up! Sounds like a perfect summertime read!